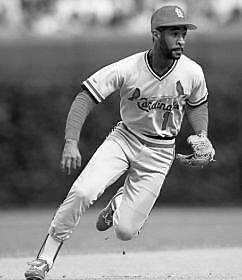 Ozzie Smith, Former Baseball Shortstop. Baseball Hall of Fame. Inspirational Speaker. Known as “The Wizard of Oz,” Ozzie Smith combined athletic ability with acrobatic skill to become one of the greatest defensive shortstops of all time. The 13-time Gold Glove Award winner redefined the position in his nearly two decades of work with the San Diego Padres and St. Louis Cardinals, setting major league records for assists, double plays and total chances. Smith’s fame increased after his trade to the Cards, where he helped the team to three National League pennants and one World Series title. While not known for his bat, Smith’s offense continued to improve while in St. Louis. In 1985, he got his batting average up to .276 and helped the Cardinals win their second pennant since his arrival. In the NLCS against the Los Angeles Dodgers, with the series tied at two games apiece, Smith faced Tom Niedenfuer with one out in the bottom of the ninth and hit his first career homer batting left-handed (in 3,009 at-bats) to win the game. Smith went on to bat .435 in the Cardinals’ six-game triumph and won the NLCS Most Valuable Player Award, but St. Louis lost to the Kansas City Royals in seven games in the World Series. Smith is committed to charitable endeavors, which almost always benefit children, and he has spent countless hours assisting various charities in the St. Louis area including the American Heart Association and St. Louis Effort for Aids Dining out for Life program. Currently, Smith serves as President of the Gateway PGA Foundation, an organization that reaches out to inner city youth via mentoring and golf programs. Ozzie also serves as the Education Ambassador for the Baseball Hall of Fame and headlines a fundraiser, “Play Ball with Ozzie Smith” every year in Cooperstown during Induction week end. Since retirement from baseball, Smith succeeded Mel Allen as host of This Week in Baseball, was the color analyst for Cardinal broadcasts in 1997-1999, and served as the baseball analyst for CNNSI, a joint venture between CNN and Sports Illustrated from 1999 to 2002.